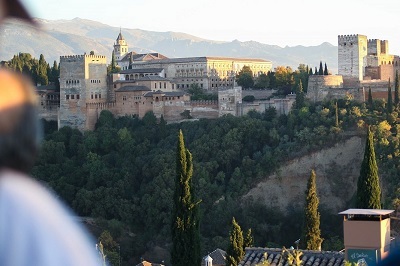 Ranked #1 Tour on TripAdvisor! 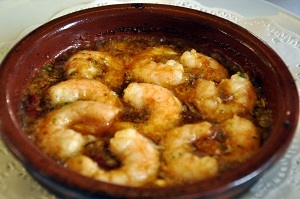 Join us for a fun and delicious evening and learn how Malaga has become one of the country’s top dining destinations! 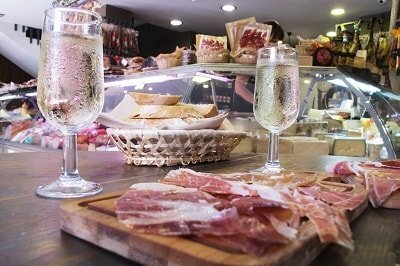 Have a stroll through the beautifully illuminated streets of Malaga, tasting some of the best local wines paired with delicious tidbits. From different typical Malaga sweet wines, to refreshing whites, fruity reds and even artisanal vermouth, you will really get to experience our diverse wine growing regions. 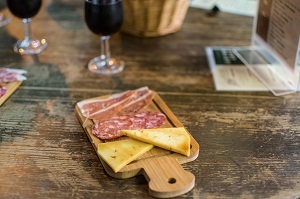 Bars, taverns and restaurants will make you feel welcome, offering their tastiest treats like Iberian cold cuts, fresh seafood and other local specialties. 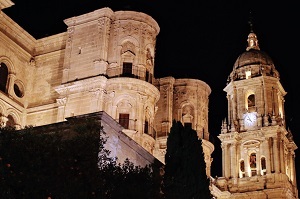 You will pass by some of the most emblematic venues and hidden alleyways of Malaga by night in an enchanting tour that combines food, culture and history. “Excellent” We loved the tapastour. We learned a lot and got to try new tastes. In excellent company. Tips: Dont`t eat before the tour. 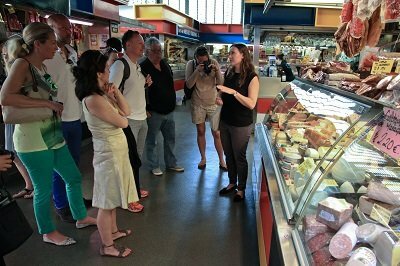 In this half-day activity during the evening, food lovers and those of artisanal produce, have the opportunity to discover the hidden treasures of Malaga. 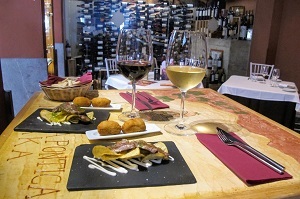 A route that is designed so chefs and local vendors can show you the best of the cuisine of our area: different tapas and drinks that reflect our gastronomic culture. 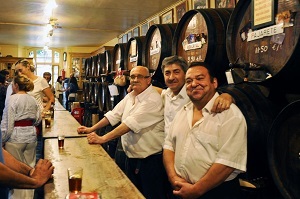 Our food tour starts with the visit to one of Spain’s most charming taverns, founded in 1840, where we will taste the most typical wine of our region. 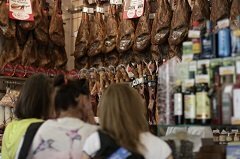 We will visit a “ultramarinos”, a small family-run grocery store specialized in iberian cold cuts and cheeses . Tasty tidbits that will definitely get your taste buds going, before hopping in and out of wonderful eateries and restaurants well-loved by locals. 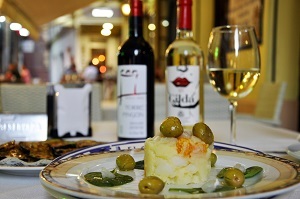 Without doubt, the gastronomy of our city is influenced by the cultural and modernist boom that Malaga is experiencing nowadays. 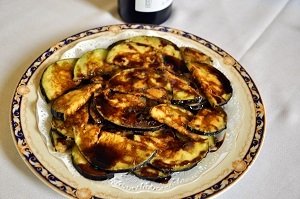 During our activity we will have the possibility to visit chefs who are working in an innovative and different way and who will delight us with traditional dishes and some very interesting and creative versions of them. During the entire itinerary you will be accompanied by a member of our team, the so-called food-sherpa, who is an expert and passionate about our culture and local cuisine. 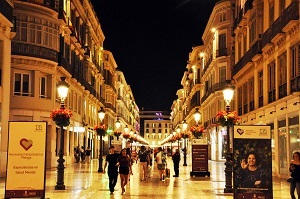 You will pass by some of the most emblematic venues of Malaga by night in an enchanting tour that combines food, culture and history. 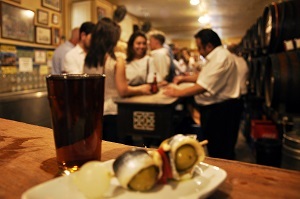 Off-the-beaten-track, experience the city like a local and taste what the south has to offer. Due to the risk of gluten cross-contamination, our tours are not recommended for those with celiac disease. Not all Tours are created equal. Our tours are not standardized, but a real reflection of the delicacies every season has to offer and the creativity of our chefs. We took much time and effort in designing the tours so you can enjoy delicious treats, discover hidden places and submerge in our (food) culture in local hideaways. Feel welcome and like a local. 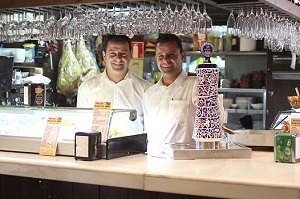 We have great friendships and exclusive partnerships with restaurants, taverns and market vendor. Expert foodie guides. 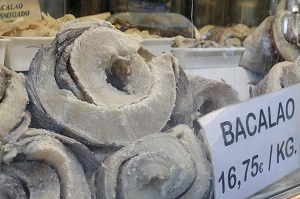 Our guides attended a special training on Gastronomic Tourism promoted by the Provincial Council of Malaga. They truly are real professionals and experts on local cuisine! Much more than wonderful food in interesting places.There’s more to it- it’s about the attitude, about getting a bit closer to our authentic culture and real people!